The Fire Alarm cable range consists of flat TPS, twisted and twisted screened configuration for various applications. They are available in sizes ranging from 0.75 to 1.5 mm2. 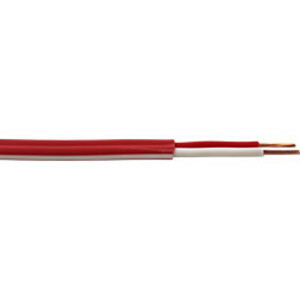 The outer sheath of the cable is designed with specific Easy Strip PVC material for ease of termination to help users save time during installation. Additionally, cables pass WSX1 mechanical protection test. 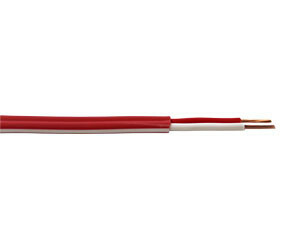 For convenience, they are easily identified as Fire Alarm cables through the red sheathing. They are also compliant with the marking requirements of AS1670.2015, which ensures speaker cables have a white stripe on the sheath. As well as having the GBCA Certificate for Best Practice PVC, the Fire Alarm cables are RCM certified, compliant to AS/CA S008 and can be purchased in 200 and 500 m rolls. I am interested in Prysmian Fire Alarm cables .